Creativity can come in many forms. It can be completely new to the world (e.g. Einstein’s – Theory of Relativity) or new to a context. Business creativity is nearly always of the latter type. This means that if you adapt ideas from other categories or industries you are still being creative. 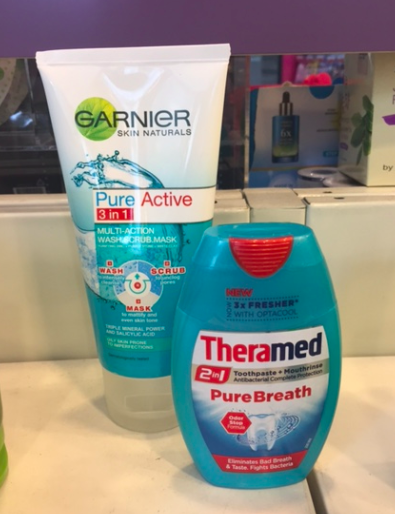 In the example above notice the 2 in 1 tooth paste idea has been adapted to a completely different category – skin care (3 in 1). The challenge is to look at the core or essence of the idea and then adapt the expression of this idea to your category. Using this way of thinking means that you can see ideas everywhere!